You got this, bro? 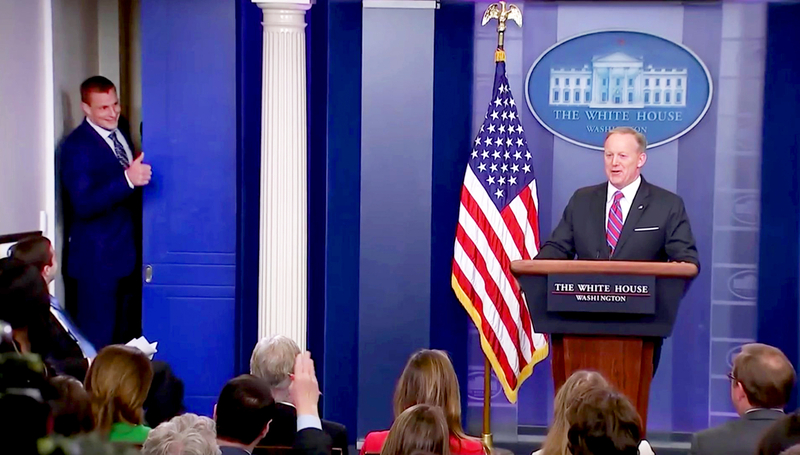 New England Patriots tight end Rob “Gronk” Gronkowski crashed Sean Spicer’s White House briefing on Wednesday, April 19, as he and his teammates toured the estate after their Super Bowl win. Watch the video above to catch the funny moment! Spicer, 45, was taking questions from a room full of reporters when Gronkowski, 27, poked his head through a curtain to Spicer’s right. Tom Brady: Someone Stole My Super Bowl Jersey! 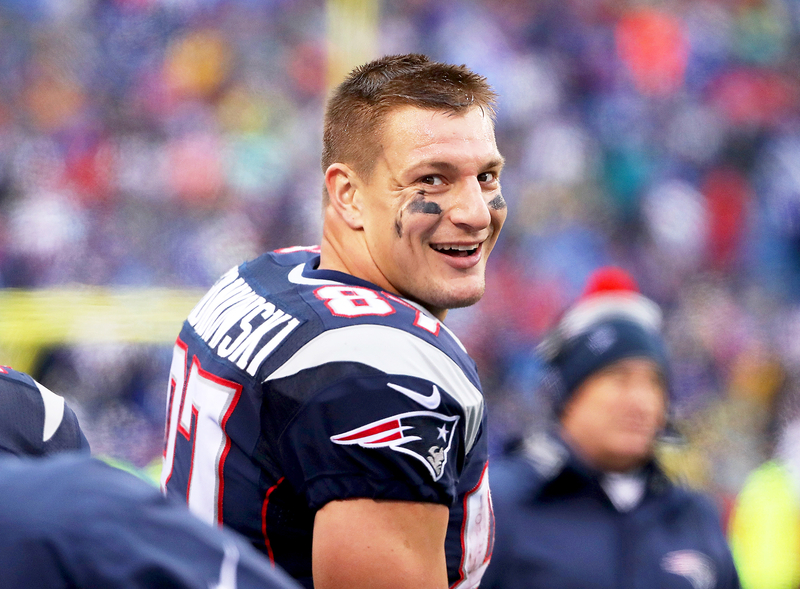 Twitter immediately lit up with memes about the moment, with many Twitter users poking fun at Gronk’s inevitable run for office.